Stephen M. Quillen, a third-generation solo practitioner in Russell County, has been named the 2014 recipient of the Tradition of Excellence Award by the Virginia State Bar’s General Practice Section. The award recognizes a lawyer who embodies the highest tradition of personal and professional excellence and who has benefitted the community and enhanced the esteem of general practice attorneys in Virginia. It will be presented on June 14 during the VSB annual meeting at Virginia Beach. Quillen was admitted to the Virginia bar in 1957 and joined his grandfather’s general practice firm in Lebanon, where he remains in practice. He has been a member of the Virginia Board of Bar Examiners since 1983. He was nominated for the award by Joseph M. Bowen, an attorney in Tazewell, and Nancy C. Dickenson, assistant federal public defender in Abingdon. 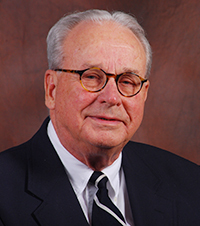 “For almost sixty years, Stephen M. Quillen has exemplified the highest level of legal ethics, scholarship, civility and advocacy as counsel for the citizens, businesses, Army Reserve and local government agencies of rural Russell County and the surrounding area in southwestern Virginia,” they wrote. They also cited his ability, insight, judgment and common sense while praising the “assistance and guidance that he has given hundreds of law school students and newly licensed lawyers. . . . He has devoted his life to the practice of law, to his family and to his community.” Their nomination was followed by more than two dozen letters of support. Quillen served in the Judge Advocate General Corps – Army Reserve from 1957 to 1964. He retired with the rank of captain. He is a member of the Lebanon United Methodist Church, where he served on the board of trustees. He has been a vice president and coach for the Lebanon Little League, a member of the Ninth District Democratic Steering Committee, and a member of the Russell County Historical Society, which he also served as counsel. He is a member of the Town of Lebanon Planning Commission. He received his undergraduate and law degrees from Washington and Lee University. He and his late wife Nancy reared three children and he has three grandchildren.